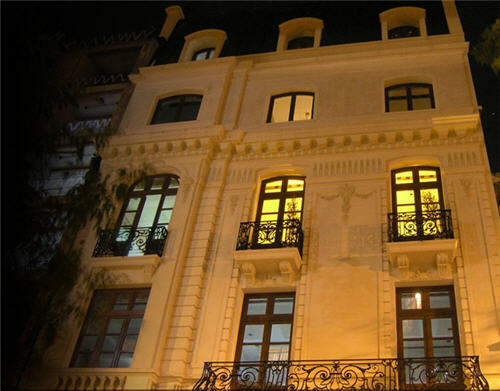 Algodon Mansion, poised to open in November 2009, Algodon Mansion is in the heart of the Recoleta, Buenos Aries' chic embassy and luxury hotel district. Once a private residence, the Mansion was built in 1912 in a French Classical design. Ten spacious suites-some exceeding 1,200 square feet-epitomize old-world Argentina but provide state-of-the-art luxuries, including 24-hour butler and concierge service, a fine-dining restaurant serving Argentine and French-fusion cuisines, a wine cellar, library bar, a covered outside patio and fireplace, and a rooftop pool, sauna, spa and bar. Large and lavish bathrooms, beautifully decorated in bookmatched Italian Calacatta marble and French Limestone, feature oversized steam showers with Hansgrohe designed waterfall fixtures. Ebony wood floors, B&B Italia and Capelinni furniture design, original works of art, and Côté Bastide bath care products are just a few of the amenities offered that round out Algodon Mansion's luxury accommodations. 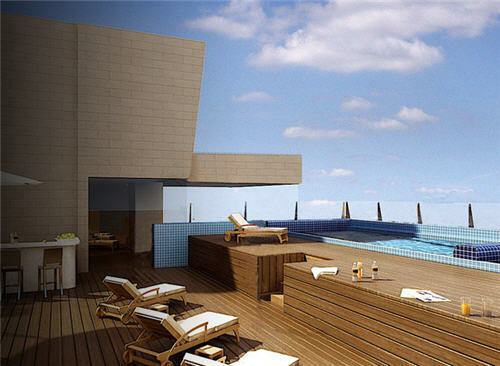 The rooftop pool is an oasis in the sky, reminiscent of a Hollywood penthouse veranda, features teak decks and loungers that surround an alluring swimmer's pool. The rooftop's open-air lounge invites afternoon tanning in the summer sun or twilight soirées on a warm moonlit Recoleta evening. Hidden away on the rooftop of our Buenos Aires mansion, Sky Bar offers an enticing menu of drinks from around the world. Spa services await on the connecting terrace and offer wellness treatments and healing therapies for your body, mind, and soul. A dramatic four-story waterfall stretches from the roof to the ground floor lobby and can be viewed from virtually every suite. Tip: Sampling the wine is a must. The cellar features wines from the Mansion's sister project, Algodon Wine Estates, in Mendoza, "the Napa Valley of Argentina."